No one was at home Wednesday afternoon when hot ashes ignited a fire that spread up to the eaves. 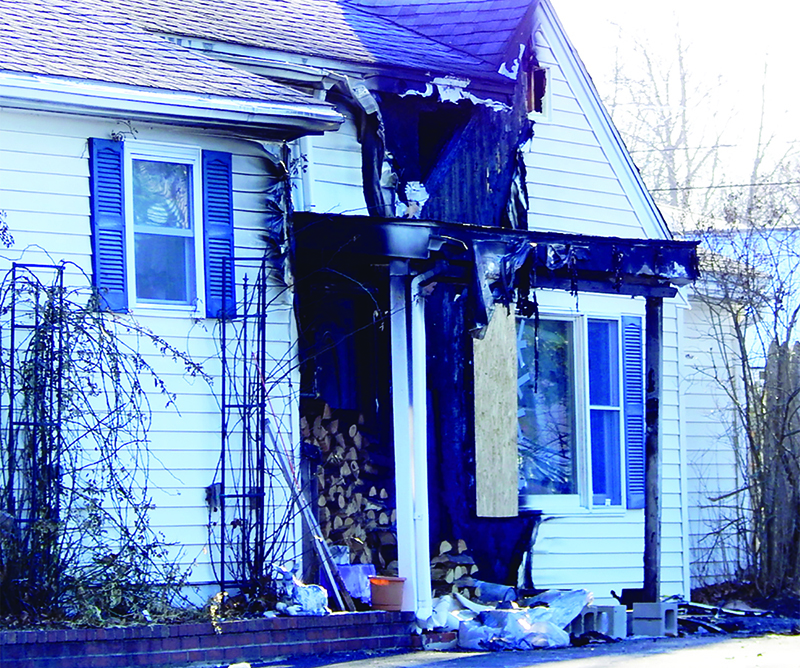 SACO — Hot ashes that were not properly disposed of led to a house fire in Saco that displaced four people living in a multi-unit residence on Wednesday. According to Saco Deputy Fire Chief David Pendleton, neighbors across from 18 Therrien Ave. heard popping noises and saw smoke coming from the house about 4:03 p.m. Wednesday and called the fire department. Arriving at the scene with two fire engines, a ladder truck, and an ambulance, Saco firefighters found nobody was at home and extinguished the fire. He said the fire burned the trash bin and then a tarp used to cover firewood stored inside an alcove to the house and the house’s vinyl siding before it spread into the eaves of the house. “It’s a three-unit building and it’s fortunate nobody was home at the time,” Pendleton said. After calling the fire department, the neighbors kicked in doors to see if anyone was trapped inside and in need of assistance. “They were able to rescue a dog from one of the units, but couldn’t find anyone else in there,” Pendleton said. Ann Kim, Director of External Communications for the American Red Cross, Maine Region, said that the Red Cross is currently helping those displaced by the fire. Pendleton said damage to the house was not extensive, however Central Maine Power shut off electricity to the residence until it can be inspected by an electrician and determined that the wiring is safe. Firefighters were at the scene for about 2 1/2 hours Wednesday, and Pendleton said the investigation has been completed.